Experience the best apartment living in Sandy, Utah when you make your home with us at Rockledge at Quarry Bend. Make a splash in our sparkling swimming pool or soak in our soothing hot tub. Outdoor entertaining is easy and convenien. Entertain indoors at our community clubhouse, featuring a TV lounge, and theater. Enjoy the recreational playground with a variety of state of the art fitness equipment, stretching and yoga areas. Be sure to check out our pet policy to learn more about our pet requirements and guidelines. Enjoy the peacefulness of living in our community, and take advantage of our services. Enjoy all of these features and more when you live at Rockledge at Quarry Bend. 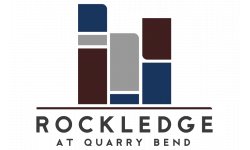 Apply online now to begin the process of making Rockledge at Quarry Bend your new home.